I didn’t post on my blog for a long time now. I was working on cute baby booties all the time. 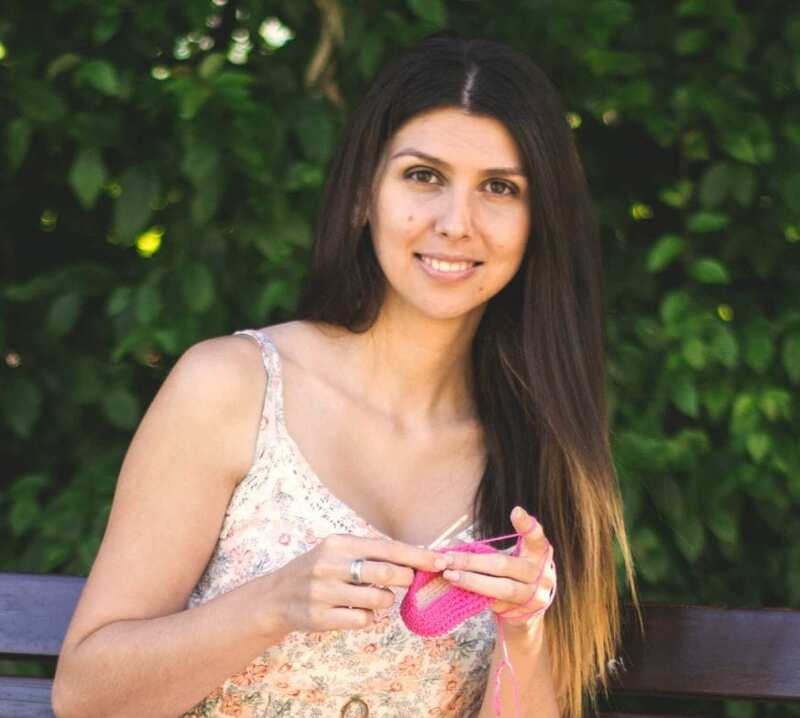 You can find new cute patterns in my Craftsy, Ravelry and Etsy store. I can say, I am not the best friend of plants. I forget to water them or I water them too much. Most of them die in a few months and I am always in awkward position when I get flowers as a gift because when the person comes back next time, there is a good possibility the flower is long gone by then. 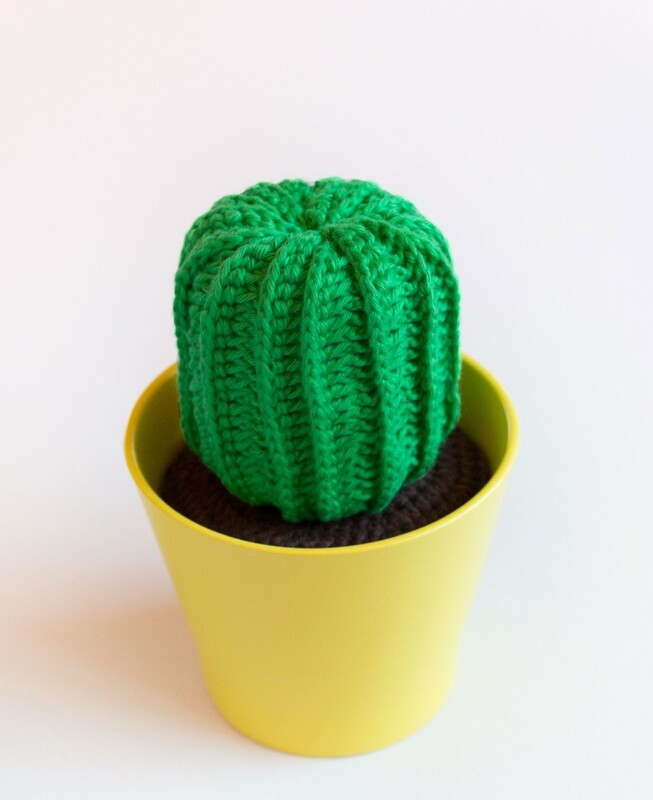 Recently I saw the pictures of cute crochet cactuses on Pinterest. I loved the idea and today I will try to recreate it. 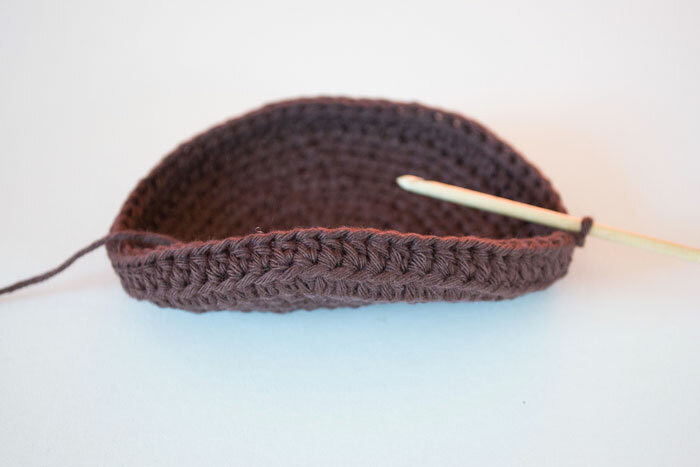 The crochet cactus can be a nice home decor or a great gift for your friend or family member. 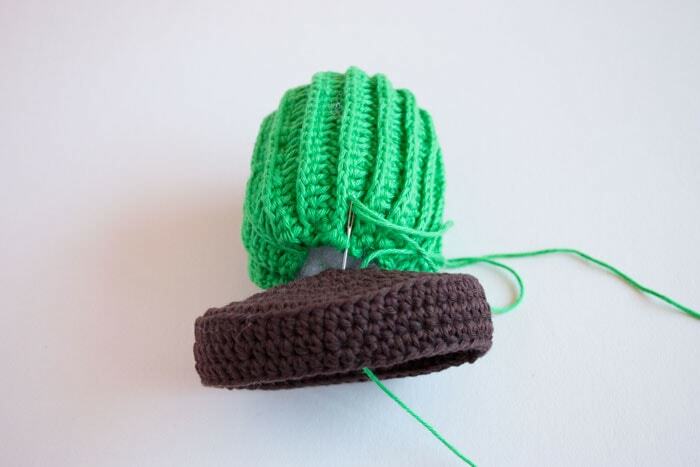 First of we will start with brown yarn and we will be working on soil/earth part. Note: Ss at the end of the round does not count as a stitch! 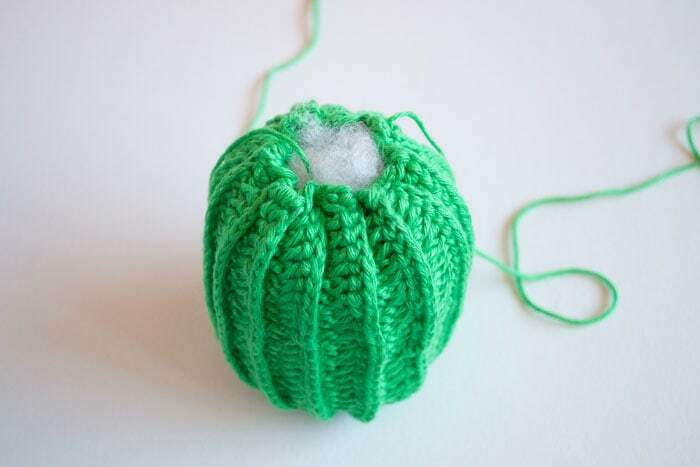 Now take the green yarn and start to work on the cactus. You will be working in rows. 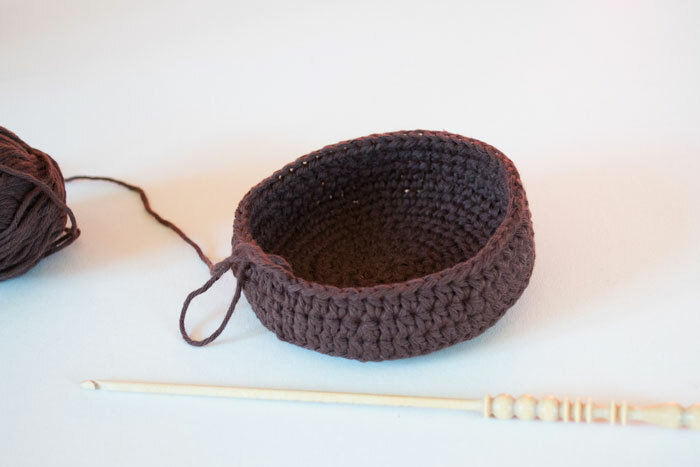 Note: Ch 1 at the end of the round does not count as a stitch! 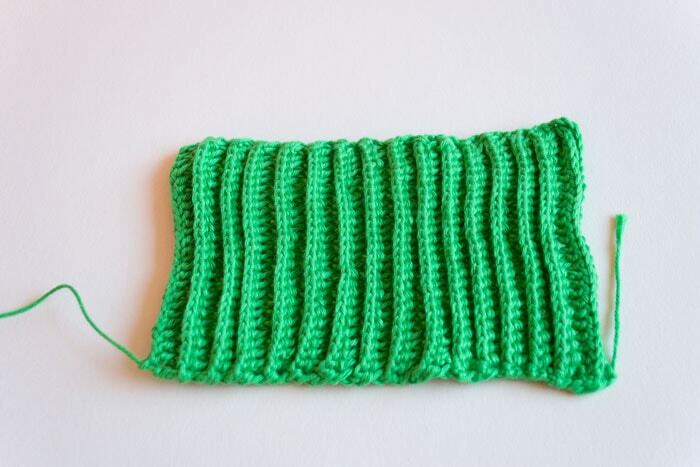 At the end of the row 32 cut the yarn, leave long tail for sewing. 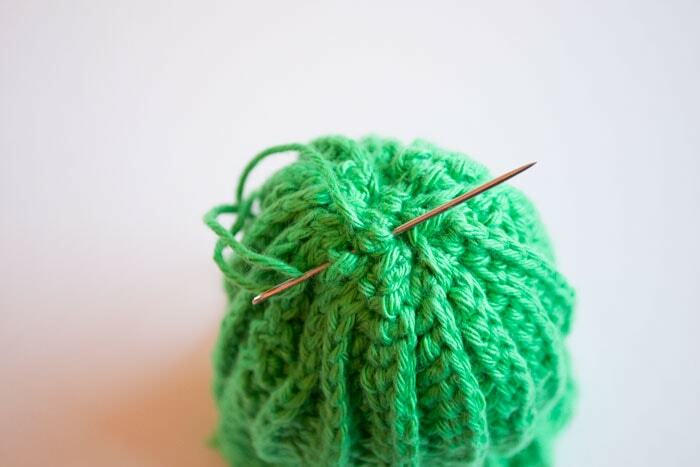 Now sew the shorter sides of your work together as seen on the picture. 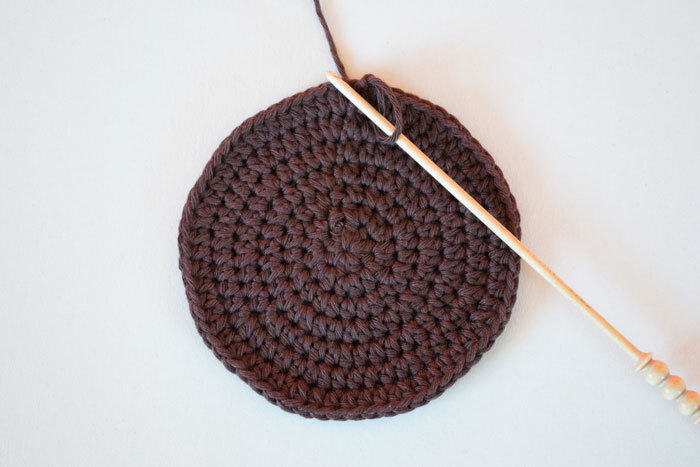 Place your work in front of you, hole should be on the top and the bottom. 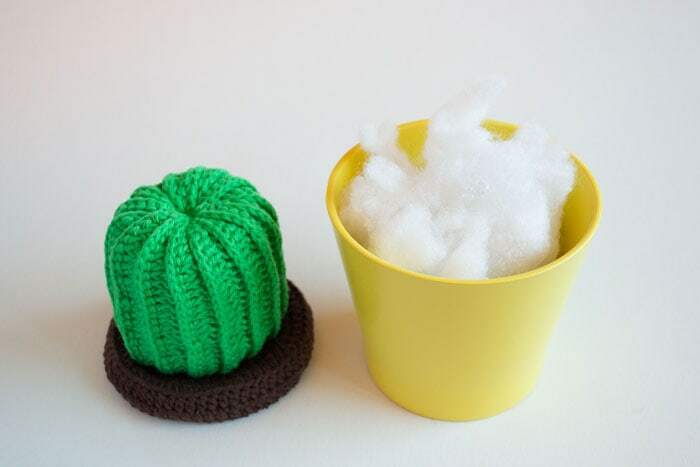 Sew the top of the cactus together and leave longer tail. 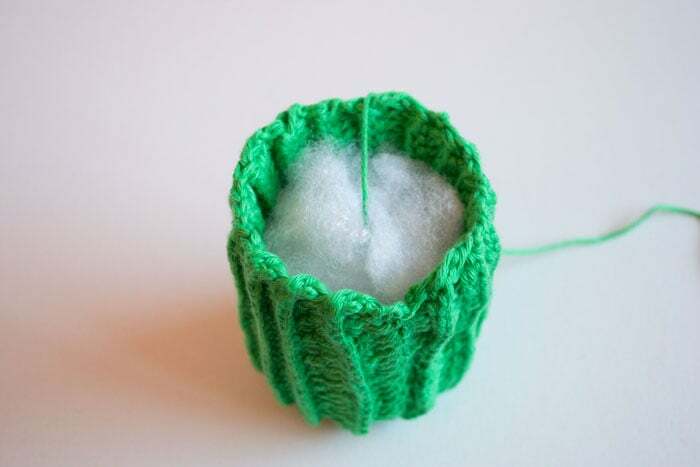 Turn the cactus inside out and fill it with stuffing around the strand of yarn in the middle of the inner side of the cactus. 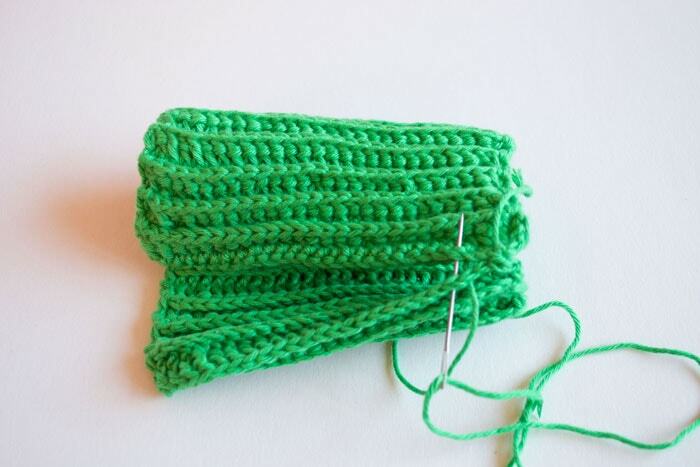 Take the green yarn and attach it on the lower side of the cactus. Now make stitches around the bottom of the cactus. 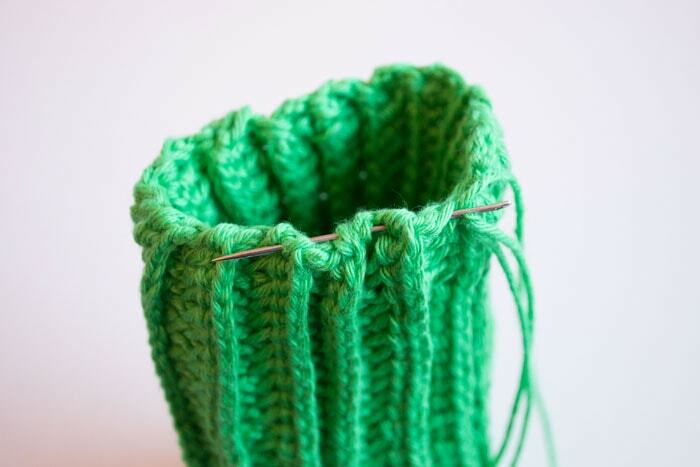 Pull the yarn and close the hole only half way. 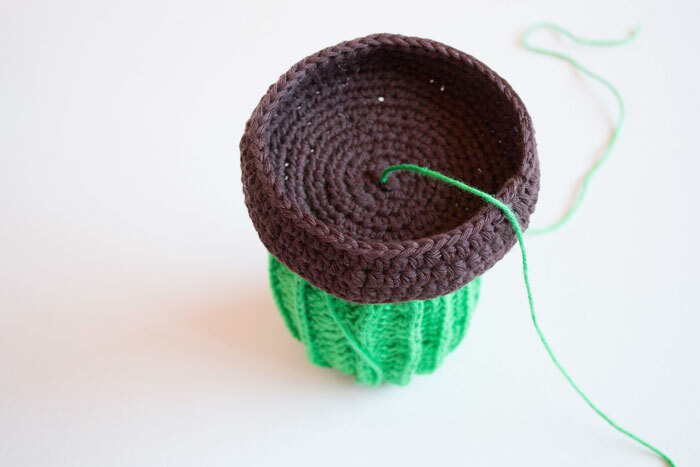 Pull the yarn from the middle of the cactus through the middle of the soil part. Now sew the cactus on the soil. 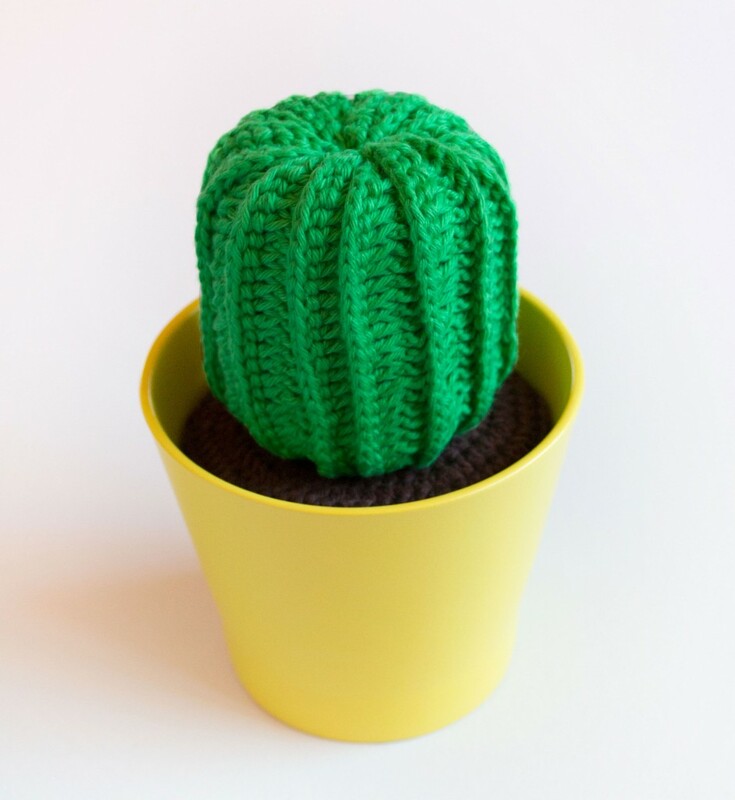 Pull the yarn from the middle of the soil part to make a nicer shape of the cactus and attach it on the bottom part of the soil. 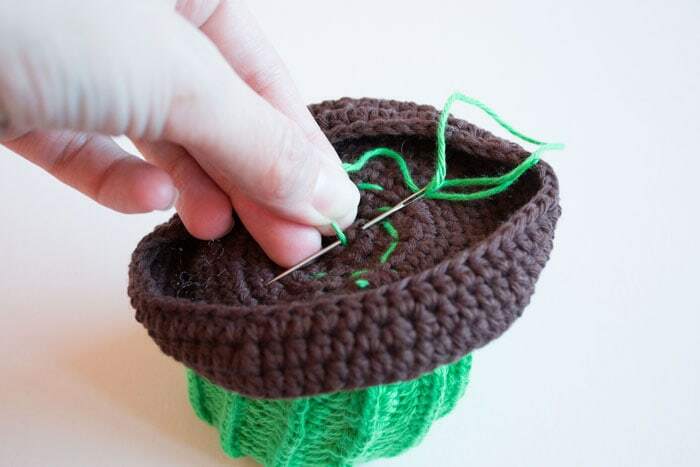 Place the stuffing into the plant pot beneath the soil part and you are done. Note: Do not fill the plant pot beneath the soil part with too much stuffing. The cactus will start to fall on one side. You can also glue soil on the sides of the plant pot if you want. You will prevent the cactus of falling out. I am having trouble loading the download of the ugg inspired baby bootie. Can I have some help, please? 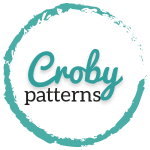 The pattern is adorable and I would love to be able to crochet it.